I welcome the progress in the negotiations that have led to a Draft Withdrawal Agreement and Political Declaration on the Future Relationship. UKTiE has been campaigning for some months for this breakthrough. In response to the Chequers Agreement and the Brexit White Paper we argued the Government plans for Brexit must go further, faster and be fairer, in order to ensure the best possible Brexit deal for transport. How do the latest documents match up against those three tests? 1. Further. We argued the Government’s approach was not sufficiently clear, consistent or comprehensive. The transition period is very clear, and comprehensive, is now extendable to 2022, and the plans for the ‘Future Relationship’ go a long way to address our concerns. Britain’s transport industry is very mature and goods and services are now completely inter-connected. For example, transport goods are not sold or provided in isolation: the service element, from finance and design to operation and maintenance is integral to our ability to win contracts. A future deal must therefore encompass goods and services. So I provide a cautious but positive welcome because the declaration commits the UK and EU to seek to secure a deal on goods and services. Although, like the Prime Minister, we would like to see the details of the future framework fleshed out in the coming weeks. 2. Faster. A new UK-EU relationship on transport will form part of a mixed trade agreement (FTA). Given we need to secure the swift and unanimous ratification of the agreement by the required 37 national and regional Parliaments on the Continent it’s important we don’t diverge too far from EU legislation across the modes. Here again there is significant progress in relation to the transitional arrangements, the backstop and the future relationship, but we need more detail. 3. Fairer. This is undoubtedly the most difficult area, and the main reason why the deal faces such opposition in Westminster. The UK transport sector would, without any say, be subject to EU’s transport rules for the foreseeable future, and like the rest of the UK economy, will also be subject to EU rules in the fields of the environment, employment, state aid and competition legislation. However, future rule-alignment through the proposed institutional arrangement relies very much on a Joint Committee of the EU and UK, which will manage the arrangements on a day to day basis, with little or no Parliamentary accountability or industry input. Making the deal fairer with more transparency, accountability, oversight and scrutiny is vital for the deal to be workable, sustainable and deliverable. These documents begin to paint the picture of the UK as a third country, and now begins the work to prepare us for this major new reality. Tomorrow’s UKTiE Forum in the European Parliament will indeed be a timely gathering. We will witness the largest ever gathering of UK and EU experts and the UK’s top transport companies and organisations to discuss the Brexit deal, and how we will work together after March next year to ensure we can influence our regulatory framework, which will still largely made in Brussels. This week’s song of the week, ‘Are you in love with a notion?‘ by The Courteneers. This year’s UKTiE Forum will take place tomorrow afternoon in the European Parliament, hosted as every year by our Patron Jacqueline Foster MEP. This year’s forum will feature expert speakers including: the Permanent Representation of the UK to the EU, the Mission of Switzerland to the EU, the UK Department for Exiting the EU, the European Free Trade Association, the Japanese Business Council in Europe, MEPs and UKTiE members. The UKTiE Forum is a unique platform facilitating dialogue between UK transport organisations and EU officials, politicians and stakeholders. This year’s event will discuss ‘Looking beyond Brexit: influencing EU transport legislation as a third country and will be the largest ever gathering of its kind with EU experts and Britain’s leading transport companies and organisations in attendance. Bringing together a number of high level speakers from both sides of the Channel, the forum represents an important opportunity to assess the UK’s role as a future third country, discuss and learn from other third country models, and debate how leading UK transport businesses and organisations can work together to ensure the UK’s transport interests continue to be protected and promoted in EU legislation. Irrespective of the outcome of the Brexit negotiations, EU transport legislation will continue to largely apply in the UK for the foreseeable future. A link to the Programme for the UKTiE Forum can be found here. Last week, enough progress was made in the Brexit negotiations that a Draft Withdrawal Agreement and the Outline of the Political Declaration setting out the Framework for the Future Relationship were published. Despite the political fall out that these documents have caused in the UK, and the unlikeliness that the UK Parliament will accept the Draft Withdrawal Agreement, these two documents represent the clearest indication of what the UK’s third country relationship to the EU could look like. The Draft Withdrawal Agreement seems to have taken on board the UK’s White Paper suggestion for a dispute settlement mechanism between the EU and the UK on the withdrawal issues. 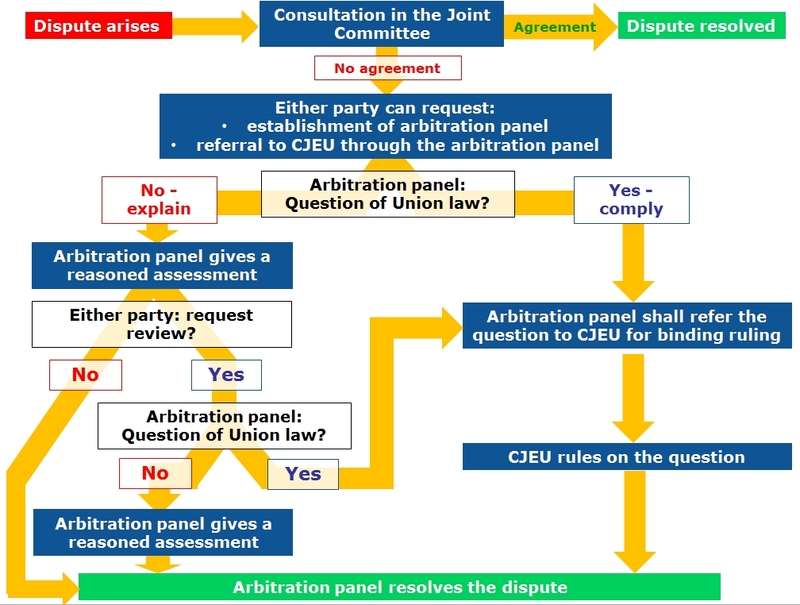 As shown in the diagram below, any disagreement in the Joint Committee, consisting of civil servants, could be referred to a newly-created arbitration panel which would need to then refer to the ECJ on matters of EU law. What this diagram shows, however imperfectly, is that dispute settlement mechanism would make it tough for disputes to be resolved without the involvement of the ECJ. Aviation: “Comprehensive Air Transport Agreement, covering market access and investment, aviation safety and security, air traffic management and provisions to ensure open and air competition”. Rail: “Acknowledgement of the intention of the United Kingdom and relevant Member States, in line with Union law, to make bilateral arrangements for cross-­‐border rail services”. Road Transport: “Comparable market access for freight and passenger road transport operators, underpinned by relevant existing international obligations to ensure open and fair competition, with consideration of complementary arrangements to address travel by private motorists”. Maritime: “Connectivity in the maritime transport sector, underpinned by the applicable international legal framework, with appropriate arrangements for cooperation on maritime safety and security”. 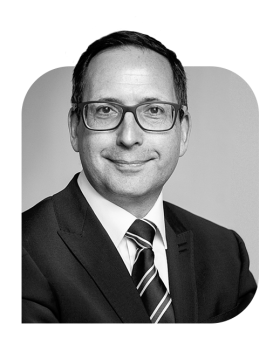 UKTiE Coordinator Mark Watts said: “We welcome the progress in the negotiations that have led to this Draft Withdrawal Agreement and Political Declaration on the Future Relationship. These documents begin to paint the picture of the UK as a third country and now begins the work to prepare us for this major new reality”. Amidst the political excitement of last week, a new front emerged in the Tory party between Boris and his brother Jo Johnson. While they both agree that Theresa May’s deal is not the right one for the country, they disagree in a stark manner over the remedy for this course of action. Writing in the Financial Times, Jo Johnson argued that “the democratic and politically sensible thing to do is to release us from the shackles of the referendum result and give the public the final say”. He further argues that “this would not be about re-running that referendum, but about asking people whether they want to go ahead with Brexit on these terms now that we know the exact nature of the deal that is actually avail­able to us, whether we should leave without any deal at all or whether people on balance would rather stick with the deal we already have inside the EU. To those who say that is an affront to democracy given the 2016 result, I ask this: is it more democratic to rely on a three-year-old vote based on what an idealised Brexit might offer, or to have a vote based on what we know it does actually entail?“. Offering a different solution, Boris Johnson suggested in the Telegraph alterations to Theresa May’s deal that would make it more palatable. Among his ideas, he suggests scrapping the Protocol on Northern Ireland, jointly declaring as part of the Withdrawal Agreement that both the EU and UK are embarked on a giant free-trade deal on Super‑Canada lines, withholding at least half of the £39 billion until a deal has been agreed, and insist that our government finally gets behind Brexit and shows some basic confidence and enthusiasm and belief in this great project. This tale of two Johnsons appears to represent the growing chasm in the Conservative Party in the aftermath of Theresa May presenting the Draft Withdrawal Agreement to her party and the UK public. As ever, it is tough to know yet which side will seize control of the narrative and the direction the party takes. However, one thing that is certain is that this coming week will prove critical in determining the future of both the Draft Withdrawal Agreement and the Prime Minister herself.